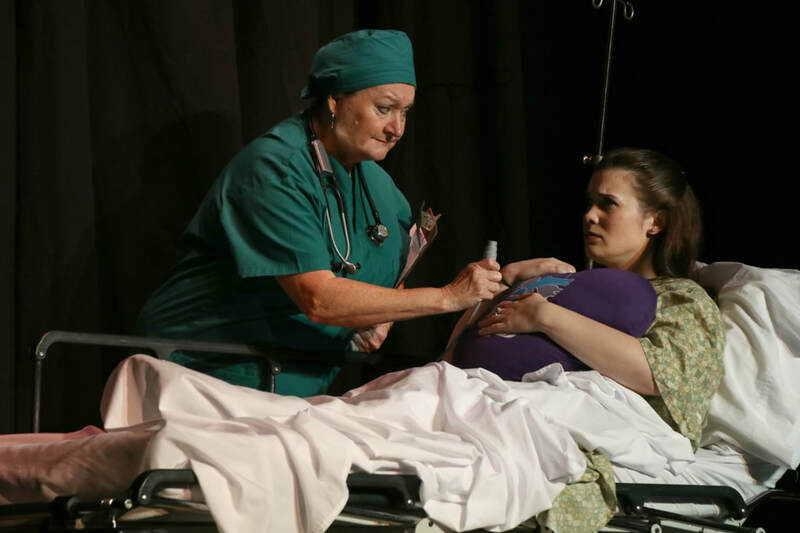 at each performance of "The Tin Woman"
Kara DePasquale as Joy (above left), spirals into depression following her successful heart transplant. Hank lashes out to Alice (bottom left) as he tries to deal with his grief over the loss of his son, Jack, the heart donor. 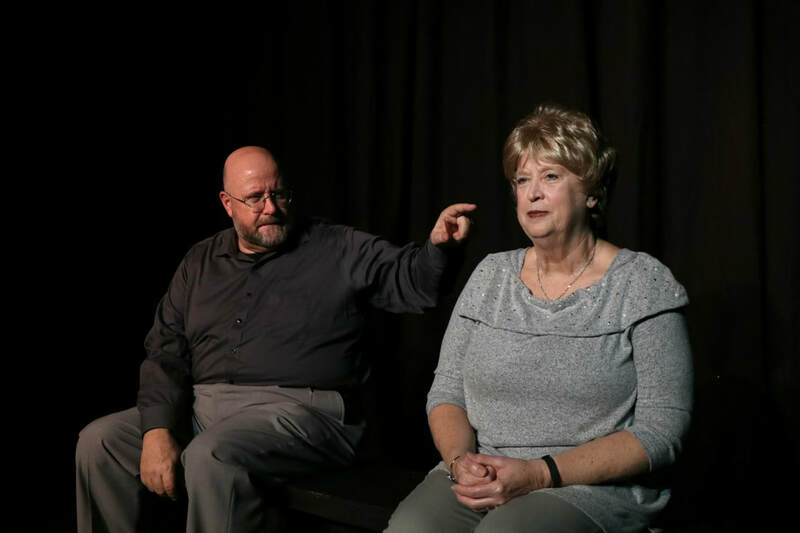 OCT performers were John Garner and Connie Gerard. Jack's grieving family meets Joy, the heart recipient, for dinner (center.) Jack (standing) was ever-present in spirit throughout the play. 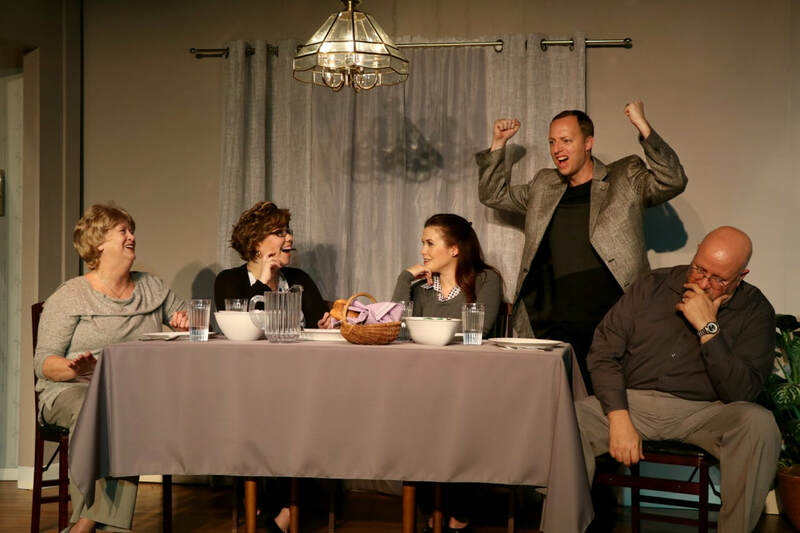 Cast members, left to right, were Connie Gerard as Alice; Jane Kaufman as Sammy; Kara DePasquale as Joy; Josh Van Womer as Jack; and John Garner as Hank. Not shown was Laurie Garner as Darla, Joy's flambouyant friend. It is the policy of Okeechobee Community Theatre to cast regardless of race, color, or disability. Determined by the quality of the auditions, the director will cast the best choice for each role after everyone has had an opportunity to audition. If invited to audition by a director, this does not guarantee that you will be cast. OCT does not pre-cast roles unless announced on the audition notice. In addition, on occasion, a cast might be expanded to accommodate a large turnout of performers. If after auditions the director believes that a particular role cannot be cast satisfactorily, other actors may be contacted for a second audition.